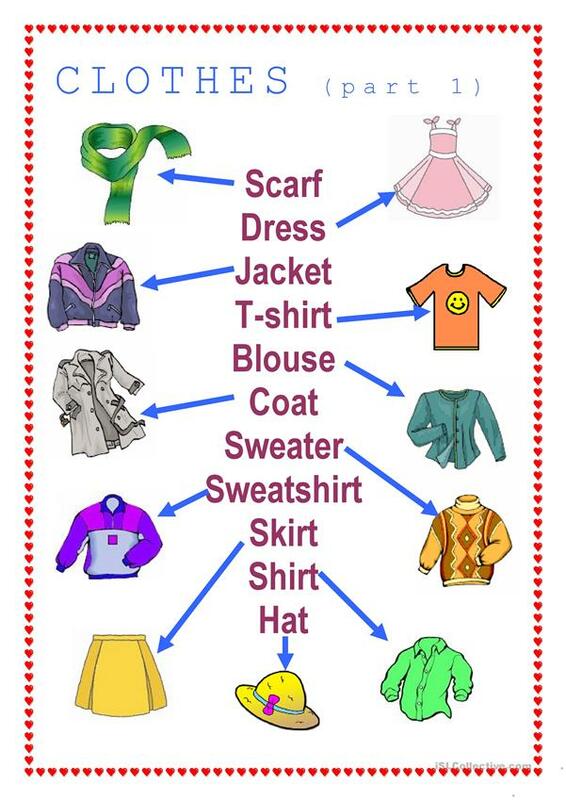 this worksheet has pictures of clothes and their names. Take a look at my other works, I think they will be useful for your class. The present downloadable printable is best suited for high school students and elementary school students at Beginner (pre-A1) and Elementary (A1) level. It is a useful material for teaching Nouns in English, and was designed for enhancing your learners' Speaking and Reading skills. It focuses on the theme of Clothes, fashion. HI EVERYONE!!! I'M A PRIVATE ENGLISH TEACHER IN ARGENTINA AND I HAVE ABOUT 30 PUPILS FROM DIFFERENT AGES, FROM 5 TO 35. I HOPE YOU LIKE MY WORK AND FIND IT USEFUL FOR YOUR CLASSES.